Our customizable web portal provides complete transparency into the financial performance of your practice. This platform-agnostic portal tracks the key performance indicators against the HFMA standards. 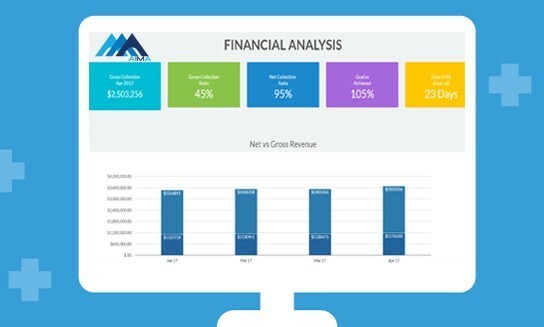 Our dedicated analytics team is capable for providing regular weekly and monthly reports as well as ad hoc reports to ensure that you are on top of your financial figures at any point in time.